There is a fine line between thermoplastics, polyurethane and rubber, and in many cases the three material types are easily interchangeable. High performance thermoplastics and polyurethane are a proven solution as a rubber replacement in high abrasion and high wear applications. Thermoplastics and polyurethane are also chosen for their impact strength, machining capability and economic benefits. 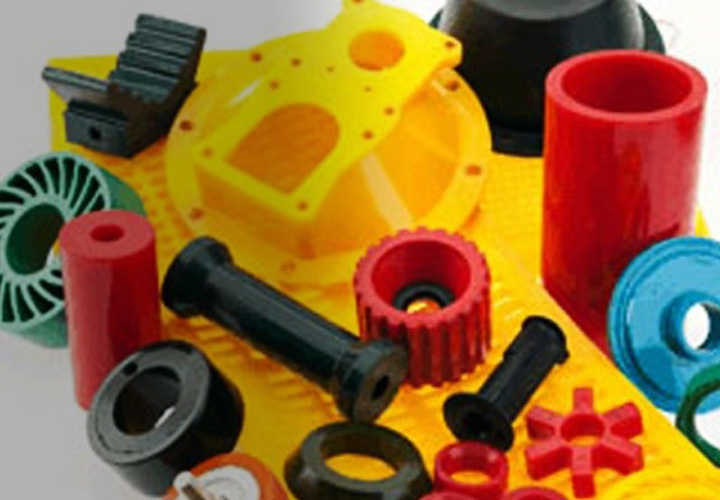 Thermoplastics outperform rubber in applications requiring high rigidity and stiffness and offer excellent load bearing capacity and wear resistance. Thermoplastic is a better material option for low to medium volume production runs, and machining of intricate plastic parts. Precision casting of Polyurethane (PU) parts is possible with relatively low set-up costs and broader flexibility in terms of colour options. Polyurethane sheet, rod and tube are extensively used as a rubber replacement material in industries ranges from materials handling, building and construction, mining, transport, industrial manufacturing, packaging and electrical.